Are you going to tow your car, but you have no idea of how much it weighs? Or it was probably just a fast question that appeared in your head? Well, it’s actually pretty a good question because we are really not talking very often about the weight of different cars. That’s why we decided to write an article for some information and give you some examples. In this article, you will learn the most average car weights per car type and car model. So how much does a car weigh? Well, of course, this answer depends on which car model and type we are talking about. 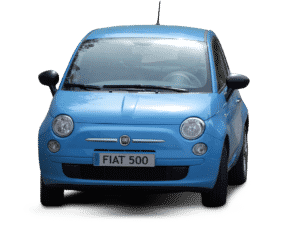 The average weight of a small car (eg, Nissan Micra) is 1200kg/2600lbs while the average weight of a large car (eg, Audi A8) is 2000kg/4400lbs. We will first go through a list of car weights for different types of cars like small, large, trucks or SUVs for example. These weights are the Average Curb weight of different car types. If you want to learn a bit more about the different car weight specifications, you can find it lower down in the article. So now when you know the weight of different car types, you may also want to know the weight of different car models. There are a lot of different car models on the market. So, We couldn’t include all of these in our list, so we wrote about the 25 most common car models on the market. Gross Weight: The weight of a car with max cargo loaded and with the driver and all passengers. Gross Combined Weight: This is a unit for you have to consider if you have a trailer. The weight of both the trailer and car together. Payload: The weight of the car, cargo, passengers (Gross Weight) + Anything you tow behind the car. Gross Weight Rating: The Max total weight that your car can handle with the driver, passengers, and cargo. Gross Axle Weight: The weight load on each axle of your car. Maximum Load Trailer Weight: Very similar to the gross combined rate. But this does also include the weight of a fully loaded trailer. Gross Axle Weight Rating: The maximum weight that one axle on your car can handle. Where can I find the exact weight of my car? Because if we wrote all existing car models in this article, the article would be an E-book because of so many different car models and years. So, how can I find my car weight if I can’t see it in the list that you provided above? Well, there are several ways that you can find the exact weight of your car. This is a much better method than checking the list above because the weight can differ a lot of different equipment you have on your car model. Here are some easy tips on how to find the car weight. Check the Car Manual: If you have a car manual for your car, you will most likely find the exact weight of your car model. If you do not have a car manual for your car, you can find them online for small bucks sometimes. It’s always good to own one for different purposes also. Driver side Door: On almost all car models there is a sticker with the chassis number and different specifications on your car. This sticker can often be found on the body of your car behind the driver’s door. Open your driver’s door and check for any label near the central locking bracket. Call your Manufacturer: If you have your license plate number or the VIN-number, you can call your authorized dealer and ask them if they could find any specifications on your specific car model. Car Scale: Of course, there are several car scales out there which you can measure the exact weight of your car. You can often find these at car junkyards and motor vehicle inspection places. So I guess we have covered the most things when it comes to car weights on different car types and models. If you have any other questions regarding the weight of the car, you are welcome to comment down below, and I will try to answer your questions as soon as possible. If you want more car information, you can use our search function to search through our database of different car related articles.